We’ve just received our first batch of Large Square Hardwood Planter’s, in a wide range of colours! We’re really pleased to say that we’re currently the only UK company that currently stocks the planters, so they’re sure to sell out fast! Welcome to our website. Garden Gear offers a wide variety of garden-related products, including high quality garden tools, gardening accessories and gifts for gardeners of all ages. We know that gardening is always a pleasure but when you have quality garden tools to hand it can become just that little bit more enjoyable. Our gardening tools are always of the highest quality, and value for money, which is why we stock the full range of Darlac Garden Tools and equipment. In stock now is a large range of Darlac products for watering & irrigation, including sprinklers and micro irrigation systems. We also stock a comprehensive range of Dewit Tools: hand tools, spades, rakes, forks and weeders. Take a look at our fantastic choice of garden products for children. Quality garden tools and gardening gloves - specifically designed for little hands - plus children’s garden games and educational items, to encourage youngsters to learn about life in the garden. Take a look at our Kids in the Garden section for more educational and gift ideas. 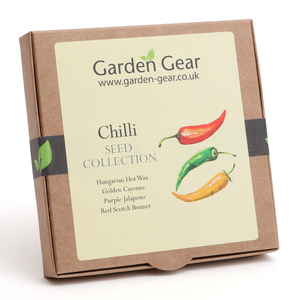 We can now offer our new range of Garden Gear Heritage Seeds - vegetable, herb and flower seeds - all carefully sourced and sold in Garden Gear's very own unique packaging, made from recycled manila envelopes. Each unusual vintage variety has its own Victorian line-drawn illustration and period description as well as cultivation advice to help keep the past alive for future generations. For the gardener in your life we have an exciting array of gifts for gardeners and non-gardeners, along with a stylish range of outdoor living and homeware items. Our gardening accessories include a stylish selection of boots and shoes, gardening gloves, aprons and kneeling pads. Featured ranges from GardenGirl, Laura Ashley and Alan Titchmarsh. To make your gift special a gift wrapping service is now available for selected items. At Garden Gear we pride ourselves on our first class customer service and fast delivery times. We always aim to post items within 24 hours of ordering and if you need next day delivery just get in touch and we will let you know if it possible. Spare parts are available for many of the high quality gardening tools featured and we are always happy to offer advice and answer any questions you may have – just get in touch by emailing info@garden-gear.co.uk find us on Facebook and Google+ or follow @garden_gear on Twitter. Find out more about us and get to know us better. Stay up to date with all the goings-on at Garden Gear by signing up to our Newsletter!